Bananas add a tropical flavor to your pancakes and they can be used to replace the oil or butter. Many recipes call for a mixture of flour, baking powder, mashed bananas, milk, salt, and a little sugar to make fluffy banana pancakes. However, you can make a very very simple banana pancake batter by combining two eggs and one very ripe mashed banana. Did you know that you can transform a banana into a creamy, sweet ice cream alternative? It’s true! All you need to do is chop up some very ripe bananas, place them in a plastic bag, and let them freeze over night. When you are ready to eat it, take it out of the freezer and use your hands to smash the bananas in the bag. After a few minutes, you will have a creamy “ice cream” that is healthy and refreshing. 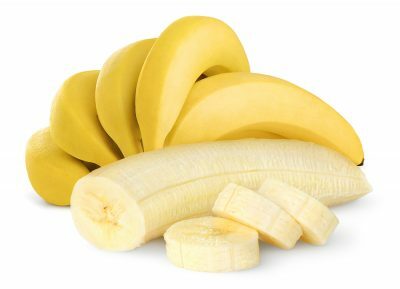 Bananas are a great ingredient for smoothies because of their texture and sweetness. You can also make a tasty “milkshake” with bananas by adding a ripe banana, some unsweetened cocoa powder, milk, 2 tablespoons of peanut butter, honey or agave to taste, and crushed ice to a blender. Blend until smooth and enjoy a healthy, protein-filled milkshake! Make your favorite banana bread recipe with very ripe bananas, but use whole wheat flour instead of white flour to add more fiber. In addition, you can swap the oil for applesauce and add walnuts for added protein and omega-3 fatty acids. Pour them into muffin cups for a perfectly-portioned treat. If you or an aging loved one are considering home care in Old Bridge Township, NJ, please contact the caring staff at Lares Home Care 1-800-781-7435 or 732-566-1112.